Discover some of the projects we have been involved in. 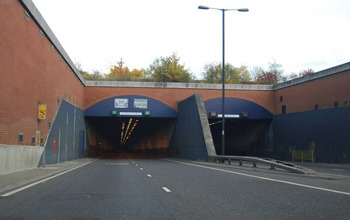 Medway Tunnel Provided the project management for a PLC and SCADA system for the Medway Tunnel in Kent. The project provided a new SCADA system using Vijeo Citect SCADA, PLC system using Schneider Quantum PLCs with Advantys I/O over Ethernet. A number of new sub-systems including a new Cisco Ethernet 1GB Redundant Fibre Optic Network, Radio Rebroadcasting System, CCTV System and Video Automatic Incident Detection (VAID) system. Provided essential day to day PM activities including liaison with the client, prepare monthly progress reports and presented during site meetings, change management and cost to complete reports Also provided consultancy works on the evaluation of a number of the sub-systems such as the Data Comms network, Radio Rebroadcast System and Video Incident detection System. 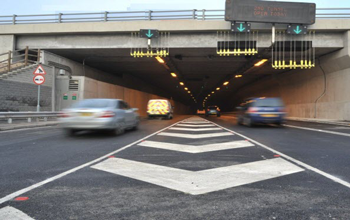 New Tyne Tunnel Crossing Provided programming and coordination of the activities of a number of PLC and SCADA engineers, production of monthly progress reports and attending site progress meetings. Liaison with the client for day to day project issues, progress reports, site delays and variations. Prepared a number of variation options for the client and where adopted, scheduled for implementation and delivery accessing time implications. Liaison with interface providers such as Video Incident Detection, Emergency Telephones and Radio Rebroadcast Systems to ensure the timely and adequate exchange of interface information. Ensuring compliance with software quality and safety plan and Configuration Management Plan. Preparation of Software verification and validation reports for each of the lifecycle phases in accordance with IEC 61508. LP Gas Compressor Control & Emergency Shutdown System Development of the Software Design Specification from the user requirements specification and PLC & SCADA software development for two independent control systems. The first, a process control system for a high speed compressor and a second independent emergency shutdown / Fire and Gas system which monitored the process and initiated a shutdown as required. Development of Process Control System using ControlLogix Hot standby PLC's and RS FactoryTalk SE SCADA system. Development of ESD/F&G system using Hima 51Q Dual redundant PLC, with SOE recording via IMACS server. Design and development of dual redundant ModbusTCP Interface for ControLogic to Hima esssential Communications and Hima OPC server non essential status on FactoryTalk SCADA. Prepare a consultation report for a review of the existing ECS and Traffic Monitoring & Control System, including preparation of reports for maintainability, recommended upgrade paths and analysis of critical and non-critical components. 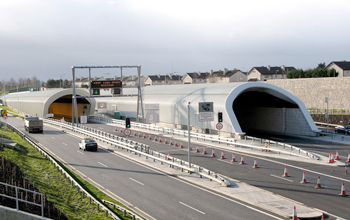 All reports maintain a "least impact" objective for all upgrades such that the works can be carried out while maintaining tunnel operations. Prepare various User Requirement Specifications for the above works so that the works can be sent for competitive tender. CTRL Ventilation Control System Provision of software assurance services for the lifecycle verification of the C588 CTRL Tunnel Ventilation system, which was verified to Safety Integrity Level 3 (SIL3) including the preparation Verification and Validation Plans setting out how the requirements set out in BS EN 61508 will be implemented in order to achieve SIL3 verification. Conduct software reviews and prepare lifecycle verification reports Liaison with Independent Software Assessor with respect to these reports. Conducted code walk-throughs and prepared a Code Coverage Report for the entire PLC code set and presented findings to the Independent software Assessor (ISA). PLC I/O Simulator Application Development of a Windows based PLC's PLC I/O for the Mitsubishi Q Series of PLC's. The client required the ability to setup pre-determined table of PLC input states and send these to up to 35 PLC's at the same time. 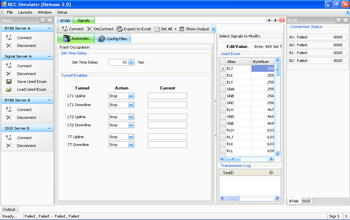 Developed in C#, the application allowed the user to create a table of PLC's to communicate with and enable and disable the communications with a single mouse click. The user could then modify any of the PLC inputs in any of the 35 PLC's so they can test there SCADA systems behavior to these changes in PLC input states. 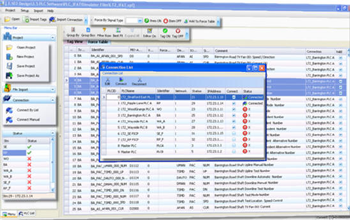 The application supports connection and disconnection to any of the PLC's via user interface and allows the saving and reloading of predefined user simulation configurations to XML compatible files and also data export to Microsoft Excel format. CTRL Train Signal Simulator Development of a specialist application to be used for system testing of the SCADA interface to an external train signaling system whereby train ID and current track position information is communicated from the external server to the SCADA system for animation of the SCADA. 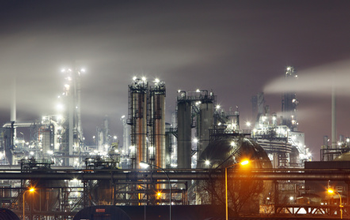 The application was reverse engineered from the SCADA interface specification such that the TCP/IP connection and information exchange could be tested in isolation with complete confidence ahead of contractor interface testing. 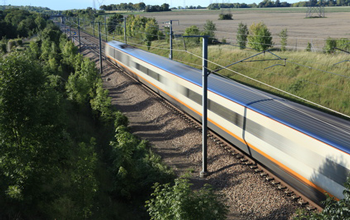 Developed in C#, it provided the SCADA with simulated information for Train ID and Track Position Information as would be provided by the other project contractors. The application also simulated dual server operation and simulated server switchover and allowed the user to deliberately inject data errors and incorrect CRC values to test the reaction of the SCADA system to corrupted data.